The exhibition Gods in Color presented at the Liebieghaus in 2008 has meanwhile been touring the world for almost 15 years. Some insights into the history of the successful show and the research on polychromy. 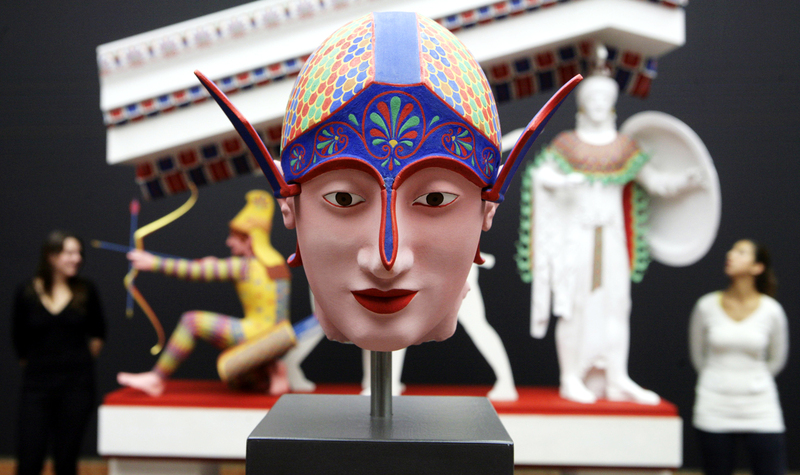 The Liebieghaus Skulpturensammlung and the field of research concerned with the polychromy of ancient sculptures are intimately connected – thanks primarily to one of the museum’s curators: Vinzenz Brinkmann, who has been the head of the Liebieghaus Departments of Antiquities and Asia since 2007. Already early in his career, Brinkmann fell prey to the fascination of polychromy research, whose most recent – and highly significant – chapter got underway back in the mid-1960s. That is when the archaeology student Volkmar von Graeve was working on his dissertation on the famous Alexander Sarcophagus in Frankfurt. With his friend and fellow student Hans Christof Wolters, von Graeve examined the sarcophagus, using UV light to make the faded painting visible on the marble surface – a method that had been developed by the photographer Eva-Maria Czakó. 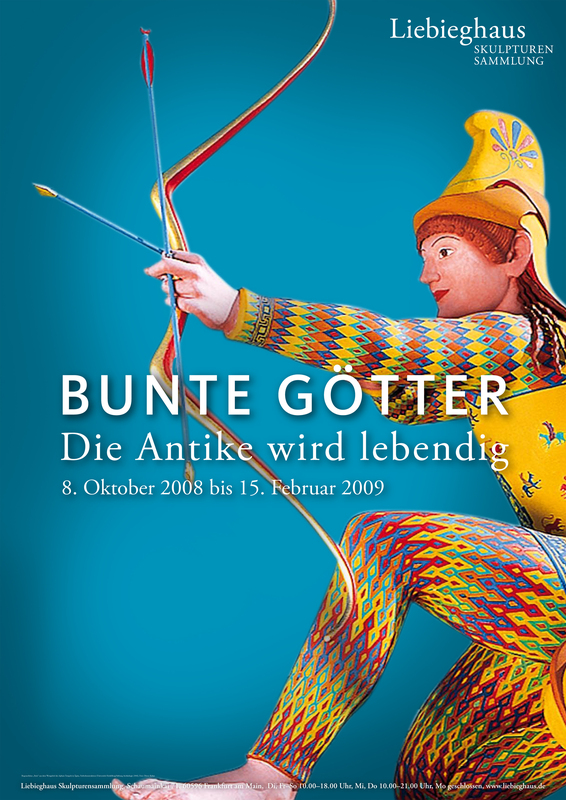 In 1980, after completing his doctoral thesis, von Graeve began assembling a team of researchers devoted to studying the colored decoration and polychromy of antiquity. In the past years, infrared luminescence has come into use as a new method for determining the presence of the pigment Egyptian blue (photo: H. Theiss, Liebieghaus). The original appearance of ancient art and architecture already aroused the interest of scholars in the nineteenth century and sparked lively discussion among them. 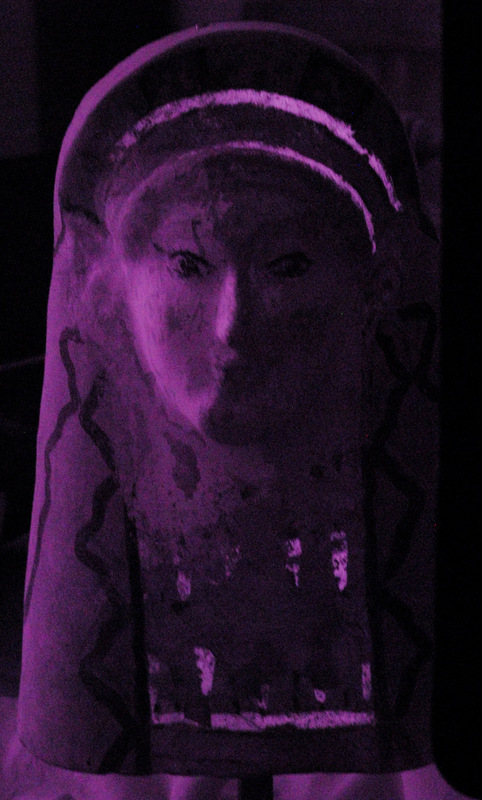 Excavations at ancient cult sites uncovered marble sculptures that exhibited substantial traces of paint. A number of extensive and estimable publications came out, documenting the polychromy and proposing possible color reconstructions. The last reconstructions of that phase were carried out by the archaeologist Adolf Furtwängler in Munich in the early twentieth century. In the decades that followed, however, the intellectual landscape underwent decisive changes, and the concept of abstraction – in content as well as form – became ever more central to Western thought. One consequence of this was that aspects of the sensual appearance of ancient art – especially as regards the use of color and ornament – receded ever further into the background. Working first in Munich and later in Bochum, von Graeve concentrated on the field of painting in antiquity and founded a research institute devoted to that subject. One of von Graeve’s students and a member of his scientific team was Vinzenz Brinkmann. 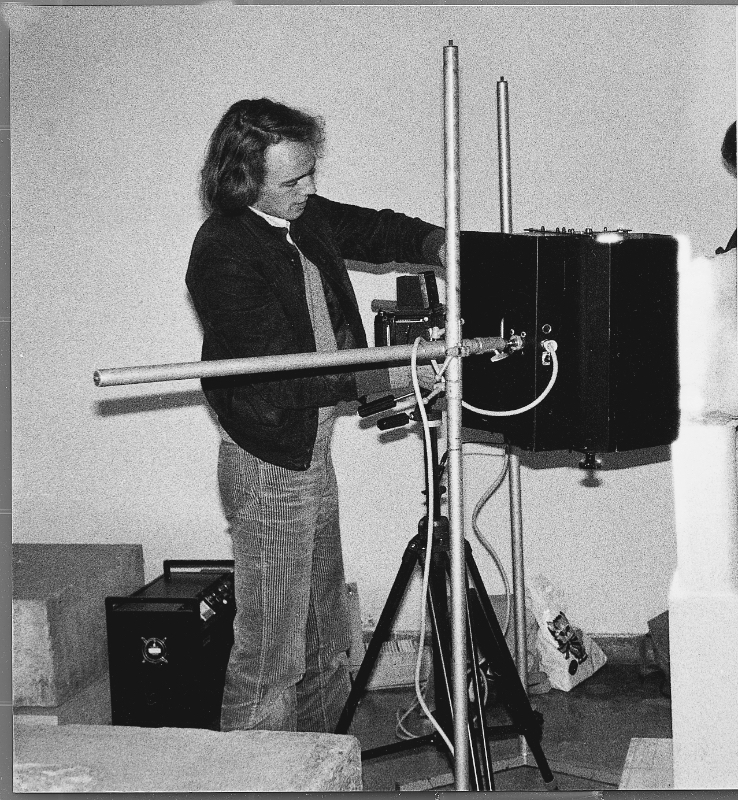 Based on findings he gathered during a one-year research stay in Athens (1980–1981) as a German Academic Exchange Service grant recipient, Brinkmann took over the area of polychromy research from his teacher. He had gone to Athens in search of “unfinished” surfaces of Greek sculptures, and in the process unexpectedly discovered numerous traces of coloration. This circumstance ultimately led him to initiate a research project with the German Research Foundation. In 2001 Brinkmann qualified as a professor with a thesis on polychromy in archaic and Early Classical sculpture. Just two years later, he launched the exhibition “Gods in Color: Painted Sculpture of Classical Antiquity” at the Munich Glyptothek; from there the show travelled to the Vatican Museums and the Ny Carlsberg Glyptotek in Copenhagen. 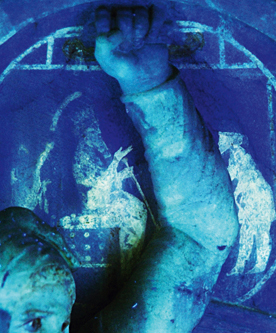 Find out everything worth knowing about “Gods in Color”. Since then, the exhibition has been touring the world. To date it has attracted far over two million visitors at some thirty venues, as well as the avid attention of the global media. Until early 2017 it was on view at the Museo del Palacio de Bellas Artes in Mexico. 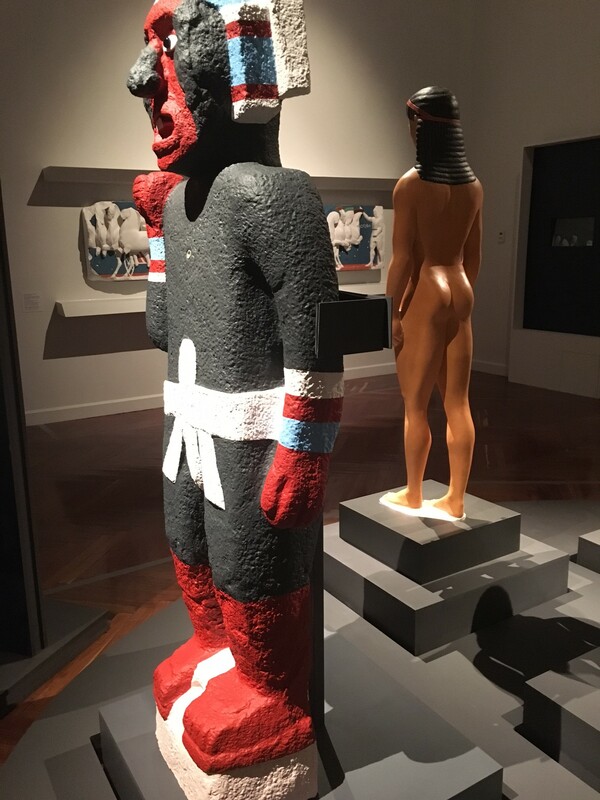 The exhibition’s tremendous and unbroken international success can be attributed to the fact that the “Gods in Color” introduced a fundamental change of paradigm. With progressive intent, the colorful statues virtually make nonsense of our deep-rooted cultural belief that antique sculptures were “naturally” made in noble marble white. There’s even a name for this phenomenon: the “Winkelmann misunderstanding”, because it allegedly goes back to the archaeologist Johann Joachim Winkelmann (1717–1768), founder of the history of antique art. 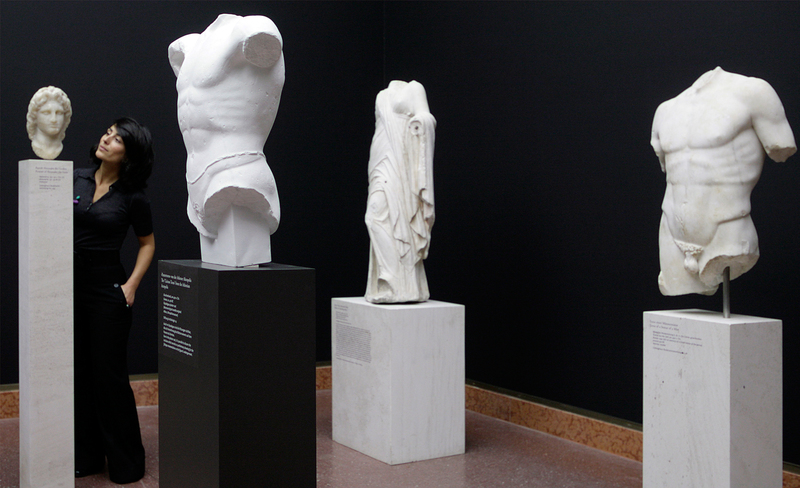 The idea of white antique sculpture owed its vast impact to the intellectual and cultural supremacy of Europe. Against the background of the reconstructions of the “Gods in Color”, we can experience on many levels how strongly the creation of images not only inspires, but also challenges human beings – both within and outside of science. In this sense the exhibition also very trenchantly enlightens its visitors about the fact that human communities create and shape images as a form of orientation for themselves. 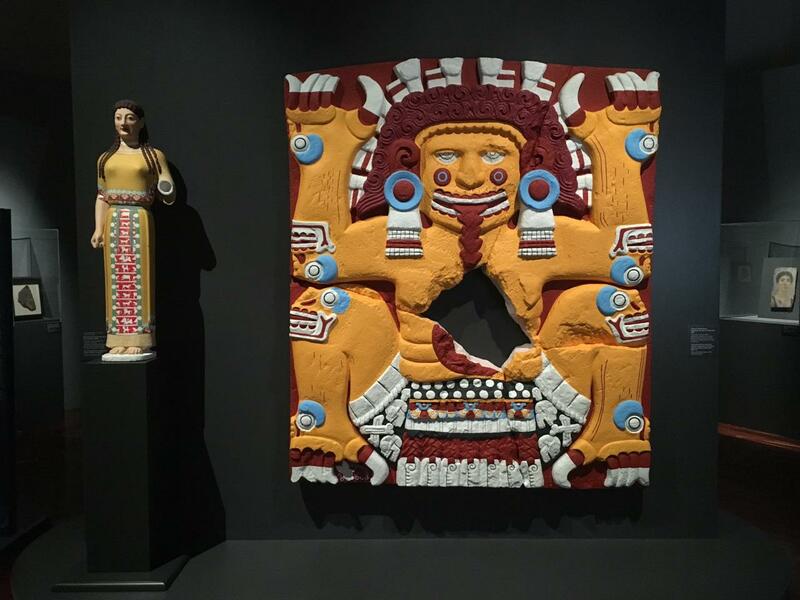 The “Gods in Color” are at home not only in the large exhibition halls of the world, but also at its elite universities – Harvard, Oxford, Tübingen, Heidelberg, Göttingen . . . . Among other things, the show’s origins and continual further development testify to how a small team of researchers can grow into a global and very vibrant network of some fifty scientists and scholars. 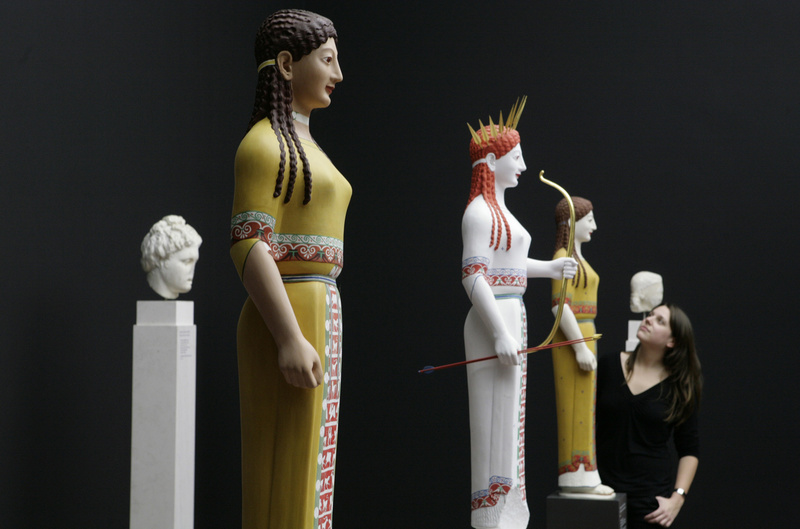 In its research on the polychromy of ancient sculpture, the team around Vinzenz Brinkmann adheres to two key principles. On the one hand, every color reconstruction represents the state of the art of the continually evolving methods for reproducing the original color scheme. On the other hand, experimentation in this context is conceived of as a didactic method that not only helps gain new insights, but also serves the communication of those insights. Every reconstruction is based on extensive research and examinations of the original material. At the same time, within their network the scholars engage in ongoing exchange and mutual review, a process that serves as a constant corrective. What is more, in the production of their reconstructions, they work with the finest craftsmen – statue painters, gilders, goldsmiths, casters, patinators, conservators, etc. – to be found in their fields. 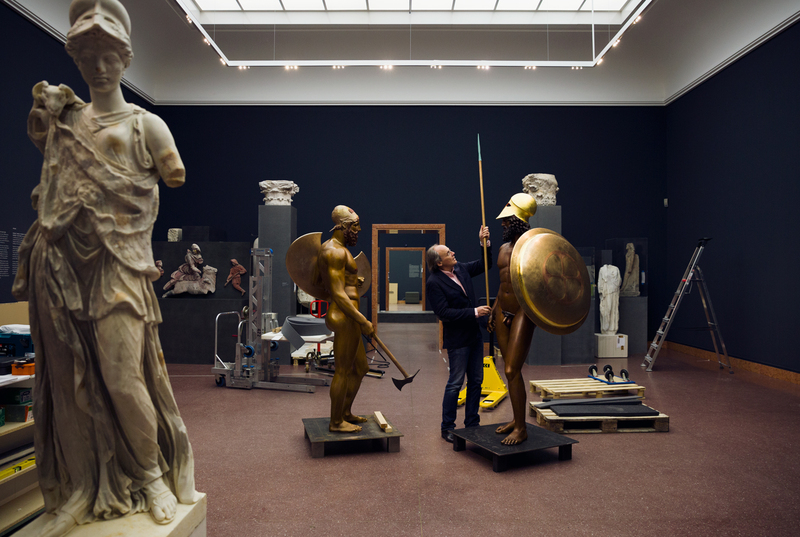 The spectacular reconstructions of the famous bronze warriors from Riace are being carried out with support from the Prada Foundation and the Italian government. The support provided the research project by the classicist Oliver Primavesi of Munich represented a significant step forward. 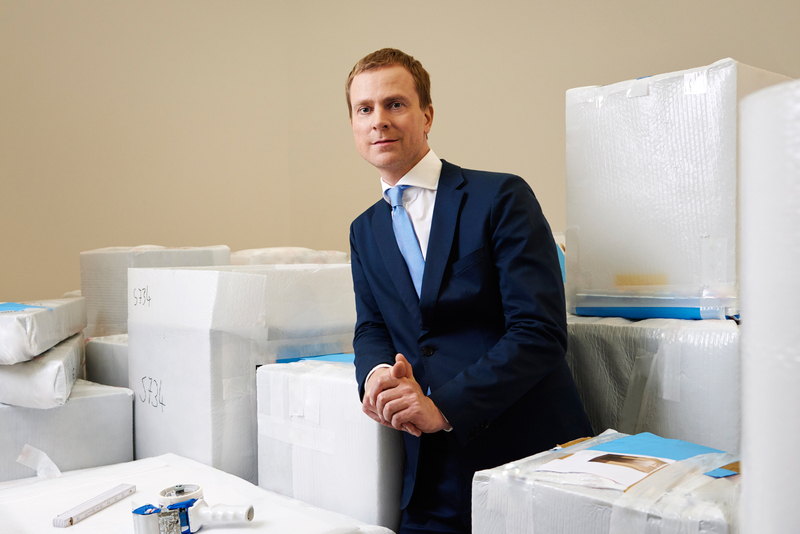 With the aid of his Leibniz Prize (2007), he enabled the production of the so-called third-generation reconstructions, which have meanwhile been carried out by Ulrike Koch-Brinkmann and Vinzenz Brinkmann in cooperation with the Liebieghaus Skulpturensammlung. 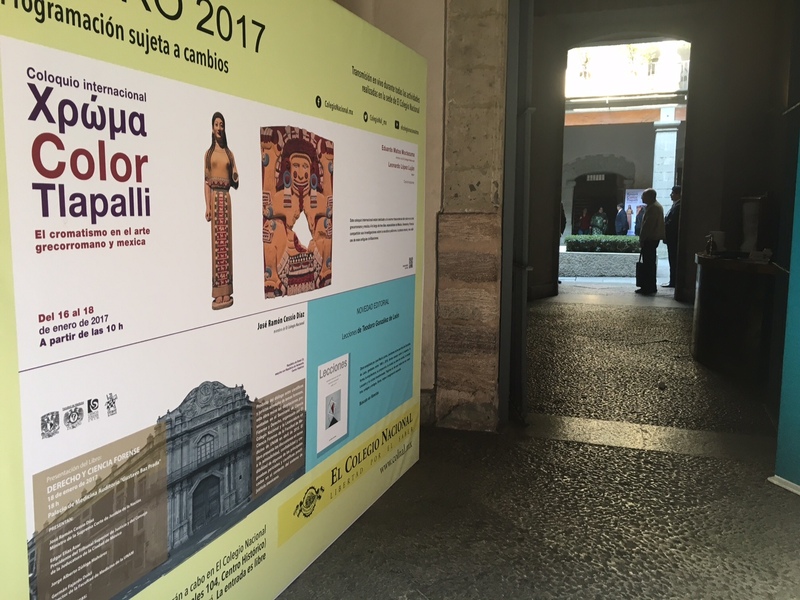 The non-profit Stiftung Archäologie foundation supported and managed the exhibition project “Gods in Color: Painted Sculpture of Classical Antiquity” from 2005 to 2015. In 2016, the Liebieghaus Skulpturensammlung’s polychromy research programme took over that function. 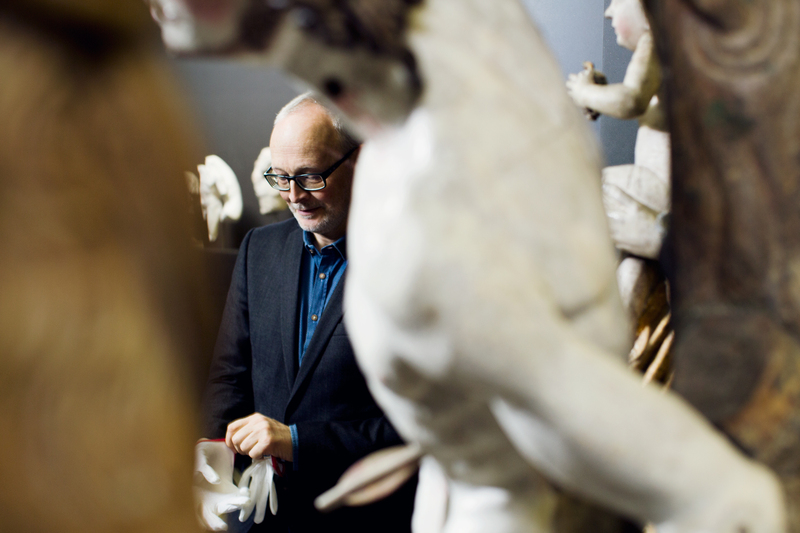 Thanks to a donation from Ulrike Koch-Brinkmann and Vinzenz Brinkmann, a large proportion of the reconstructions have entered the museum collection. The development of the “Gods in Color” and polychromy research will thus continue in the metropolis on the Main, an arrangement that will ensure the project’s continual revision and further expansion in the future, in keeping with the ever-evolving state of the art. 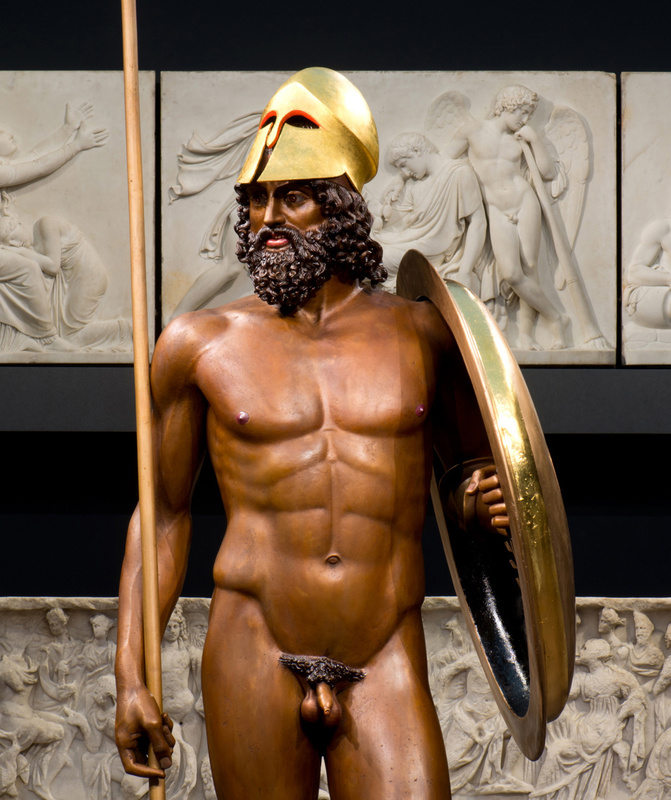 The research focus is presently on the polychromy of ancient bronzes and its reconstruction. This work has gotten off to an impressive start with the reconstruction of the two so-called “Riace warriors”.